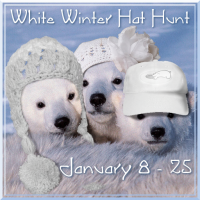 Rosamoo Mendelsohn, owner of Hatter 'n Hell, is the founder of the twice-yearly hat hunts and the brainchild behind them. 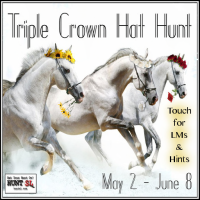 For many years, as her alt, Cory Quinzet, she ran the hunts, bringing together milliners and hat lovers with a variety of themes such as holidays, horse races, seasons and colors. 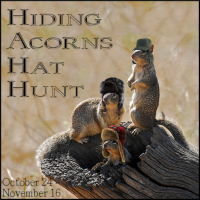 In the spring of 2016, she turned the hunts over to Chigadee London, owner of Couture Chapeau, and Brigitta Coral, Marvelous Milliner blogger. They launched their partnership with the fall back to school-themed hunt. Shortly after joining SL, a friend gave Brigitta a Santa cap. 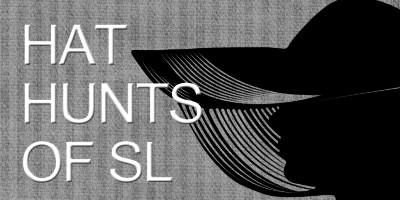 It would start an addiction and a passion for hats in SL. Now the owner of more than 2,000 hats, Brigitta's avatar is never seen in public without some sort of hat and she is constantly looking for new ones. She's the writer of the blog, Marvelous Milliners, which puts the focus on SL's hat designers and creators. Once upon a time, in that strange place known as RL, the person behind Brigitta used to make and sell crocheted hats at art fairs. She's also a performing arts writer who reviews theater. After seeing a CBC broadcast in Montreal about SL, Chigadee registered her avatar in Second Life. She was intrigued by the newscast and although she has a RL clothes designing and styling background, she wanted to try something different in this virtual world. Thus began her journey creating hats under the labels Couture Chapeau and Mad about Hats. 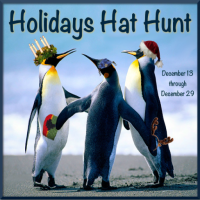 Hatty is the official avatar for Hat Hunts of SL. She's an avatar jointly controlled by Chigadee and Brigitta to manage all contact with designers and communication regarding the hunt.